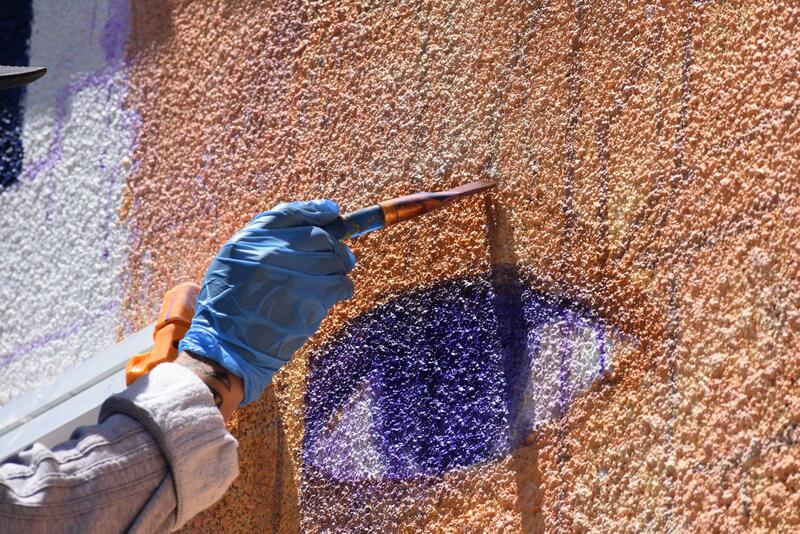 Samuel Rodriguez works on the mural. Photos by Megan Wong. 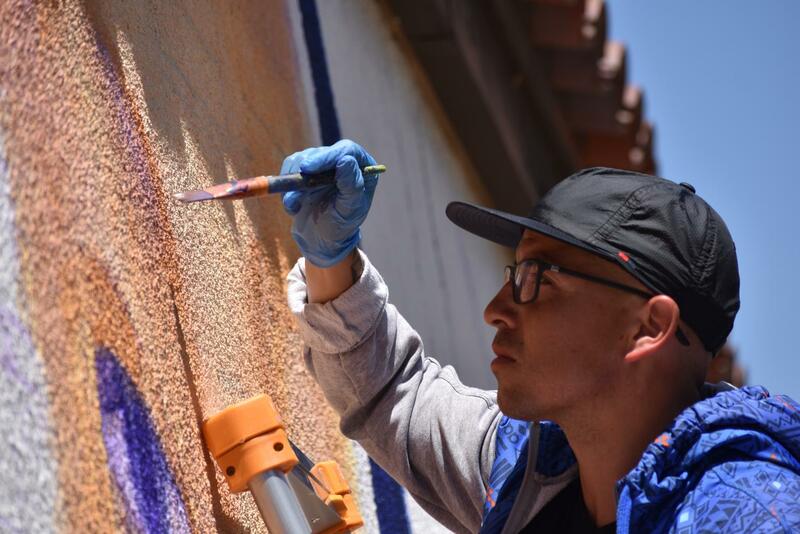 De Anza alumnus and San Jose native, Samuel Rodriguez, is anticipated to finish celebratory mural by end of this month to commemorate De Anza’s 50th anniversary. The mural will adorn one side of the S-5 building located in the S-Quad and will take approximately 3 weeks to complete. Rodriguez began to work on the mural at the beginning of this month on June 4. Rodriguez, a renowned San Jose muralist, paints lively portraits and depicts symbolic messages within his work as a creative medium. “He brings together visual cues around identity with an openness that invites viewers to find to find meaning from their own points of view,” said Diana Argabrite, program coordinator at De Anza’s Euphrat Museum of Art. Rodriguez’s craft also allows him to work on other creative enterprises aside from murals, such as editorials and product design. His work has been published and showcased in museum galleries. 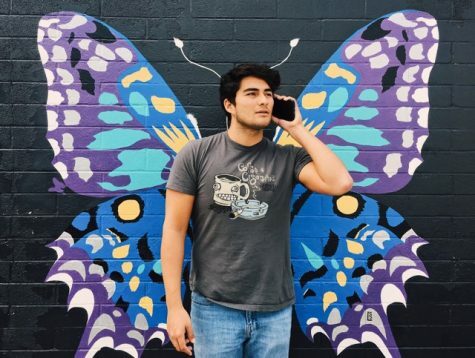 “I am dedicated to becoming better at my craft, offering reliable input and execution toward every job no matter the size,” stated Rodriguez on his professional website that includes an impressive client list that includes Puma, Under Armour, Google, Samsung, Levi’s, and Cukui. Self-taught, Rodriguez’s artistic journey began when he channeled his artistic abilities through graffiti. He has been active professionally for at least 15 years and is currently working as a freelance illustrator and graphic designer. 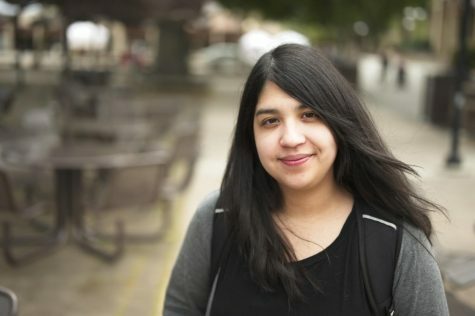 Rodriguez will be assisted by 10 students, including alumni of De Anza and interns from the Humanities Mellon Scholars program. 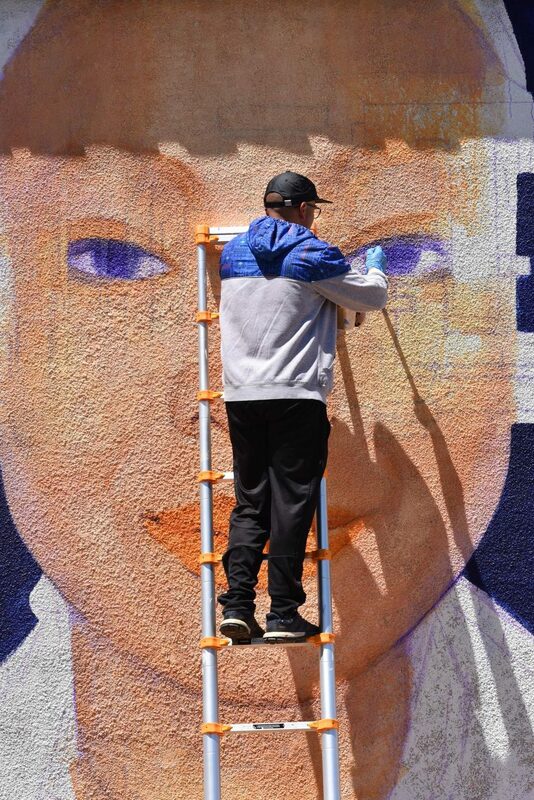 “I am very excited,” said Huy Tran, De Anza alumnus who is working with Rodriguez on the mural. “I just feel privileged to get to work with such a well-regarded artist,” said Tran. De Anza’s 50th Anniversary page on the De Anza website will be posting visual updates on the progress of the mural until its completion at end of this month.